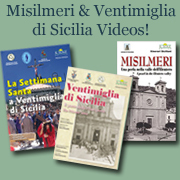 Possibly the best resource available for Italian records and it’s all FREE! They are digitizing and indexing their entire microfilm collection, including millions of vital records for almost every town in Italy and Sicily. This should be complete by 2020 and there are already over 170 Italian databases available. This popular subscription site has thousands of databases for the United States, England, Ireland, Canada and a growing section for Italy. For immigrant ancestors, very helpful databases include US Census, Immigration & Naturalization, and World War 1 & 2 Draft Registrations. FindMyPast is especially helpful if you also have British or Irish family history. HOWEVER, they also have a massive Catholic Church Heritage Archive collection that includes records from the Archdiocese of New York, Philadelphia and Baltimore. Subscription based, but they offer free trials. This incredible website has 162 million grave records from all over the world. Very helpful when trying to find where and when someone died. Some entries have full obituaries, pictures and more. Formerly called Footnote and now part of the Ancestry family, this site has an awesome military records collection. This site is a group of sites that offer genealogy links and resources for every county and state of the United States. WorldGenWeb is similar to USGenWeb except it is for countries all around the world. One-Step Webpages by Stephen P. Morse My #1 favorite site for searching for Ellis Island ship manifests. Plus, he also has created search engines for other ports, census records, and much more! The man is a genius! This site also has US Census, Immigration records and World Family Tree. Cyndi provides links to every genealogy site known to man. Literally. How she keeps it all straight, I don’t even know! Random Acts of Genealogical Kindness – The founder of this website has sadly passed away, but others are trying to keep it going. have a section where you can look up Italians to America. Join their mailing list and receive a daily email telling you what the days FREE databases are. National Archives and Records Administration has to offer for genealogists, and how to get it! TreasureMaps – This site offers a monthly e-newsletter filled with useful tips and Famous for “The Pajama Genealogy System”-how to do genealogy from your house in your pajamas! Anglo-Italian Family History Society – This site offers a listing of Italians in the UK, Wales and Scotland censuses of 1841-1891. Great resource if your family was living in the UK. *Note this is not an all-inclusive list. These are sites I have come upon through my own research that I have found helpful. Putting them here helps me find them again later when I need them and I hope it helps you too! Online Genealogy Records & Resources and Online Death Indexes – Love these sites! Pick your state and look to see what online resources are available. Illinois State Archives online databases – Includes Marriages and Deaths, land records, Court Records and much more. Fulton History – Here you can search over 13.5 million New York State newspaper pages! This site allows you to learn more about the life that your ancestor led, besides the usual names and dates. I learned my mother had perfect attendance in 4th grade, I found reference to my grandmother’s bridal shower in 1939 and I read about the time my Uncle fell off a train bridge and was rushed to the hospital. This is an incredible resource and one of my favorites! Brooklyn Daily Eagle – 1841-1955 and searchable for free. GenealogyBank – Excellent subscription newspaper site. Google News Archive – Newspapers from all over the world and searchable! Newspapers.com is an excellent resource! It is a subscription website with over 5800 newspapers in their archive covering the 1700s to the 2000s. 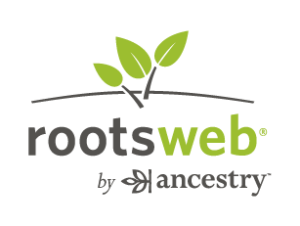 Using this site, I have found great genealogical information (birth/marriage notices and obituaries) but also some fascinating articles about families I was researching. Worth a subscription! I use Legacy Family Tree for my own family tree as well as for all of my clients. Including the proper sources for any information you add is extremely important and this program has a fantastic template for adding source information. They have a free version that you can try out, but the pay version is very affordable (usually $29.99) and they often offer coupons too. I also have the newest version of Family Tree Maker. I used this a long time ago but I didn’t care for the new layout of the program when they changed it back in 2010 and that is when I switched to Legacy. There are many other programs to choose from with a variety of features and costs. See below for more information! Genealogy Software – This website has information about different genealogy software and links to different company websites. It can help you compare before you buy. This website offers a review of 10 different software programs, with prices, ratings, and comparisons of available features. Legacy was the Gold medal winner and Family Tree Maker was a close second. Louis Kessler’s Genealogy Software Links – This is the most extensive and informative set of links I have seen about available software! Tree section of my site. Check it out! Below is a sampling of genealogy books that I have found to be very useful.